I devise theatrical productions that meld the political, the personal, and the performative. 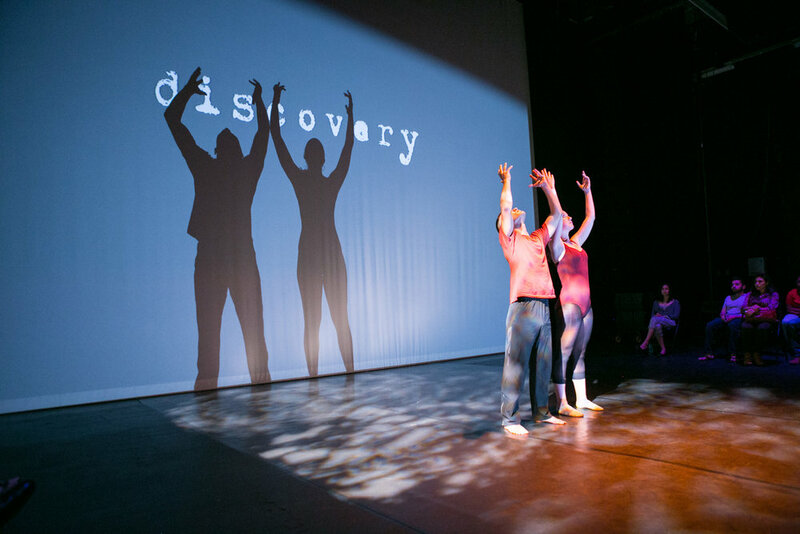 By mixing ethnographic testimony with poetry, projection, and physical movement, these performances bear witness to real stories and nuanced perspectives. I Pledge Allegiance: An Immigrant Anthology is a play that explores “American identity” from the perspective of immigrants. We seek to challenge notions of nationalism in the present global context and ask the question, “What does it mean to be an American?” by also attempting to break down how Americanness is constructed. Click here for more about I Pledge Allegiance, including a video. This new adaptation of THE SOLDIER'S TALE reimagines Stravinsky's classic score in the context of drone warfare. Through this immersive performance featuring the testimony of drone operators and strike survivors, the audience is asked to consider: is it worth it? How many soldiers are saved? How many civilians are killed? Click here for more about The Soldier’s Tale. REACH ZERO, by Griffen Hoyle, is a piece of new writing that explores stories of individuals during the Hawaii false missile alert in January 2018. This current and timely piece offers us a funny, dark, and very relatable view of the end of the world. ROOTS, the winner of the Donn B. Murphy Playwriting Contest in spring 2017, and the play was produced at Georgetown University in the fall of 2017 as the center piece of the Donn B. Murphy One-Act Festival. It is a social satire about four women who regularly meet in a garden, envying each other and harboring secrets. Generation (Wh)Y is an immersive theatrical experience of innovative multi-media performances. Using intimate live performances as well as web-based technology and social media platforms, this theatrical event will move through multiple spaces exploring real experiences from global voices and the poetry of everyday life. Click here for a video of the performance. The Andover High School entry to the Triton Regional Play Festival in 2013, EVER AFTER is a fairy tale, boy-meets-girl parody. Riffing off of storied tropes, the full-length play features love and misadventure in a small American town. I facilitate theatre workshops for non-actors to build community, spark change, and instill hope in conflict zones. I also use these theatrical methods to facilitate workshops on human rights activism. Facilitating a workshop for school children in Bengaluru, India. June 2016.